Everyone’s talking about the Netflix film, “To all the boys I’ve loved before” which was based from the NY-bestselling book by Jenny Han. 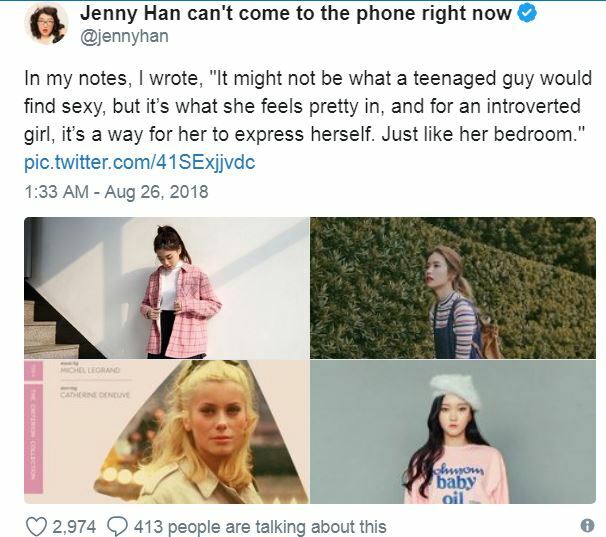 While everyone’s swooning about the dreamy Peter Kavinsky, played by Noah Centineo, fashion fans were eyeing Lara Jean Song Covey’s (played by Lana Condor) cute and chic style. “It’s 60s meets 90s meets Asian streetwear. She is a girl that looks at Korean fashion blogs, goes to vintage shops, scours the internet for the perfect thing,” she added. 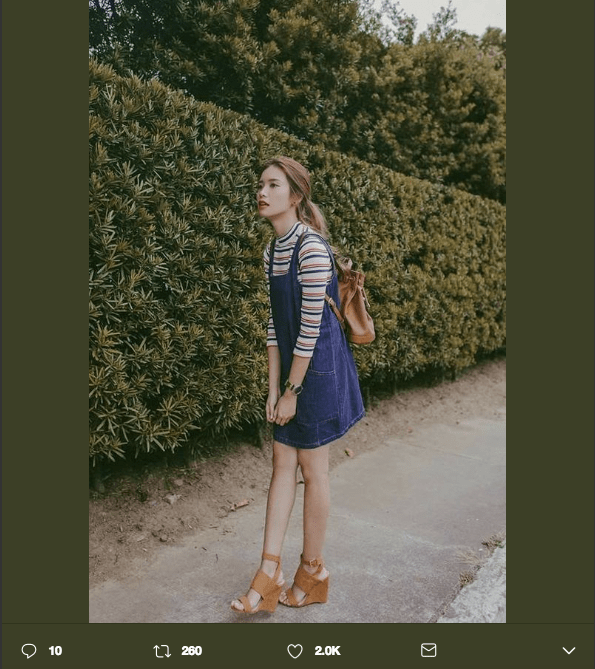 And one of the photos that caught the eye of everyone is Filipina blogger, Tricia Gosingtian, who was the one wearing a jumper and a striped top. She’s known for her consistent minimal style that combines Korean and Japanese style influences. Tricia loves her long floral dresses with a vintage vibe, which coincides with the author’s vision of her character who wears pieces inspired from the 60’s and 90’s. It’s the easiest, comfy yet stunning go-to outfit perfect for date night. Perfect for a casual day out, Tricia often goes for cool colors and neutrals that have clean, sophisticated silhouettes. Even paired with jeans and flats, her looks are simple yet elevated with a luxe twist. 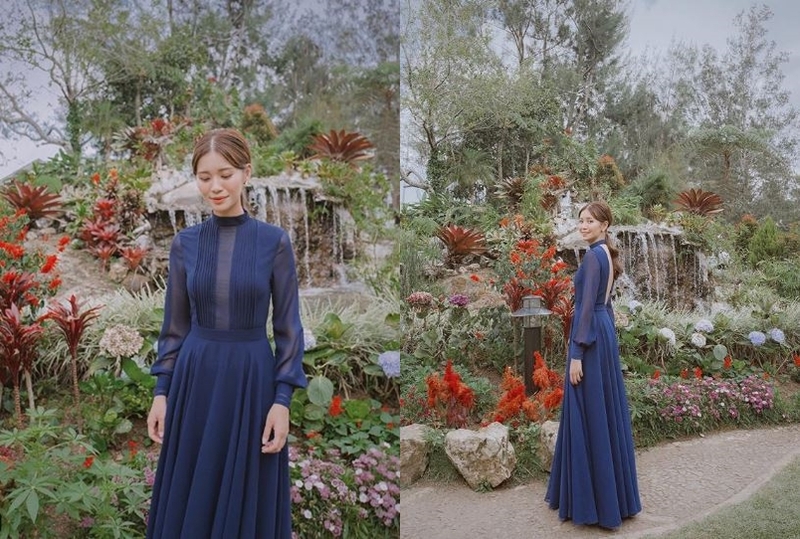 Whenever she attends formal events, she sticks to her aesthetic of flowy florals, classic colors or fresh neutrals. She goes for little to no statement accessories and makes everything look so chic and easy. She has evolved into preferring more mature, streamlined looks, but still maintaining her signature feminine style. Her style may look simple but there are little details that keep it just a bit more interesting: from square neck cuts, puffed sleeves, pleated skirts, to scarves and vintage pieces. She throws in a few surprises in her style every now and then by wearing pops of color or more street, urban-inspired matching suit.